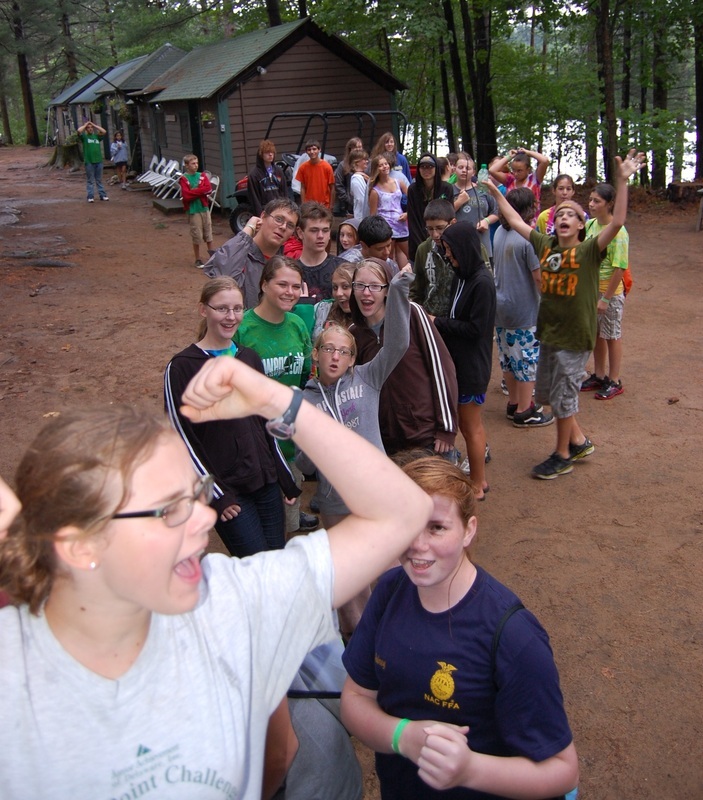 The Oswegatchie FFA Camp has been a vital part of the New York FFA experience since 1946. Creating an opportunity for FFA members to get away from home, school, and the farm to "recreate" who they are has been an important developmental milestone for countless teens. The chance to socialize with new people has been powerfully important. Originally, this was to get kids off the farm, but within the 21st century, socializing in person has become increasingly important. There now seems to be plenty of ways for youth to earn their way to camp. Some schools have grants or fundraisers. Some students have parents with more means. Certain FFA chapters use reward systems to help youth pay their way to camp. However, there are always those FFA members in-between the proverbial "rock and hard place'. If you are interested in helping a student get to camp, you can earmark a donation for summer camp, and any other criteria you require. If you want to do a partial sponsorship, the opportunity is there as well. We thank you for any contributions made. It is with your assistance that the New York FFA Foundation can do its best work. "Investing in tomorrow's youth! Our special "Send a Kid to Camp" rate is $320 (our early bird FFA rate). You can use this paypal button and contribute your desired amount. In the space made available for notes, leave any criteria you would like for earmarking your funds. (school, region, gender, age, etc.) We will work with teachers to make yuor money have the most impact possible.